The University of Lorenzburg welcomes your knowledge! Lorenzburg believes in knowledge, art, culture and research in all disciplines. The University of Lorenzburg welcomes, for the sake of sharing knowledge, academic papers, video lectures etc (masters level and above) in a wide spectrum of subjects. The idea is that academics are offered yet another forum to share their work. At the same time people are given access to interesting and formative reading. 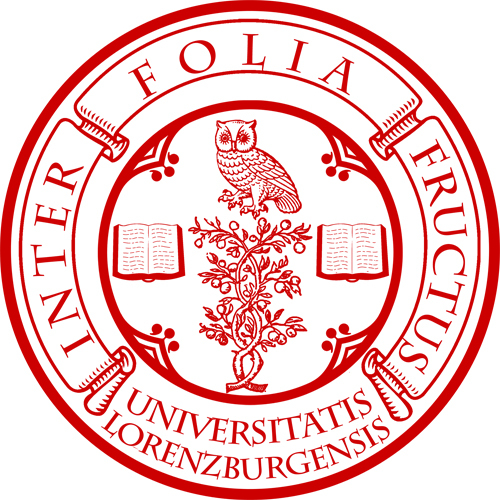 The University of Lorenzburg consists of six institutions. If you want to submit a paper or video lecture, please indicate which institution suits the subject best. Please send your material + short bio (maximum 50 words) to: riksmarskalk@lorenzburg.org. Lorenzburg aims to gather visionaries, geniuses, innovators and people who think outside the box. The Institution for the natural sciences, medicine, engineering and innovation drills deeper into the material secrets of the universe. Lorenzburg values the disciplines that are collectively known as the “Humanities”. These include, byt are not limited to, ethnology, philosophy, history, history of ideas, aesthetics, art history, rhetorics, languages, literature studies, sociology, pedagogics, cultural anthropology and religious studies. The individual’s positive understanding of her self and her society are the basis for a healthy community. Lorenzburg is a passionate advocate for knowledge and general formation. Where the natural sciences invite us to a deeper understanding of nature and the cosmos, the humanities invite us to reflect upon ourselves, our history, contemporary times and future. It may be tempting to think of the Academy for Dream, Vision, Magic and Imagination as a joke. However in Lorenzburg we don’t take such things as creativity and innovation lightly. These disciplines can be trained and polished to diamond sharp instruments. Many nations and societies rely on creative people contributing with their best ideas of their own accord. Creativity and power of vision may be viewed as fortunate coincidences when they occur in individuals. Because Lorenzburg believes that all humans have the potential to be innovative so we have founded an academy to identify, and amplify, the factors that make up imaginative and creative people. The academy is open for anyone who wants to pursue a career based on vision and creativity. The Academy’s objective is to develop the aesthetic sciences, the artistic disciplines and both new and old orientations within architecture. The innovatory is Lorenzburg’s version of other nations’ musical conservatoires and academies. The innovatory is a place where traditions are reinvented and preserved but, more importantly, it is also a place for experimenting and developing new music. The seal of the innovatory is a crowned F-clef as a playful reference to Prince Freï, the founder of the innovatory. The institute explores extrasensory techniques for uncovering Lorenzburg’s history. This is accomplished by going deeply into myths, fairytales and narratives through the use of shamanistic techniques, extrasensory perception, remote viewing and so on. The institution is tasked with a project in the near future, where Citizens together with Esoteric Geographers will map out the esoteric geography of the nation. Together we will identify and map out, so called, Ley Lines (hypothetical tracks of esoteric energy deep within the land) and Song Lines. It is our hope that this work will give us much knowledge of ancient stories and lore hidden underneath rocks and within the bubbling brooks. Keep your eyes open for notice of the next excursion this coming spring! Previous Previous post: The Repair Manifesto, for a sustainable future!